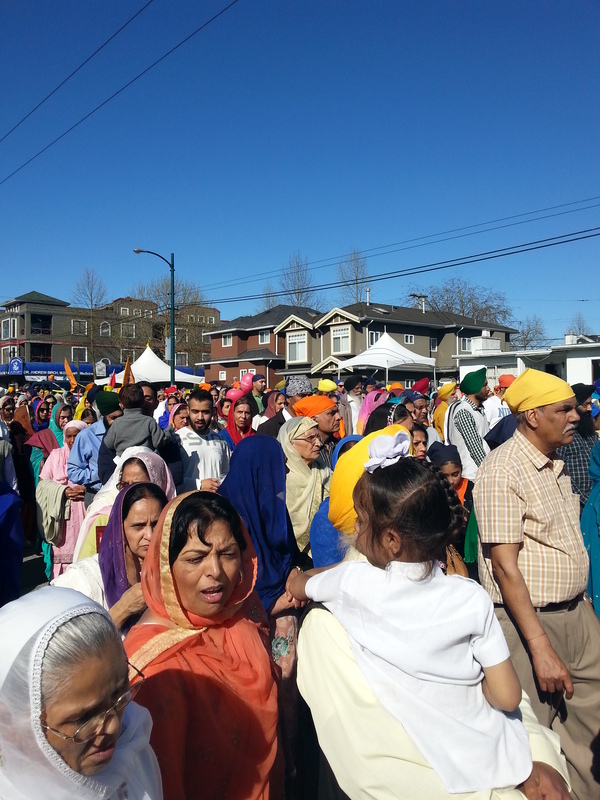 Vaisakhi is an annual festival celebrated by Sikhs. Part harvest or “thanksgiving”, part commemoration for founding of Khalsa in 1699 by Guru Gobind Singh, 10th Guru of the Sikhs. 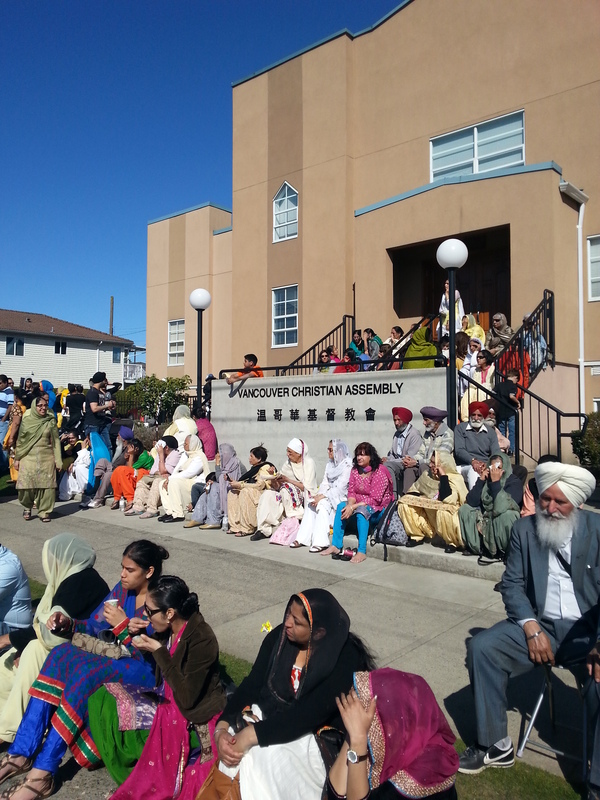 Khalsa represents code of conduct and commitment to the faith – once baptized, members adhere to the five K’s. Kesh – uncut hair, Kanga – wooden comb, Kara – iron bracelet, Kacchera – specific cotton underwear and Kirpan – dagger or sword. Symbols identifying their commitment to uphold Sikh ideals of honesty, equality, fidelity, meditation on God, not bowing to tyranny and protecting the weak. Sikhs are forbidden to dishonour their hair, eat meat slaughtered in the Muslim way, cohabitate with anyone other than their souse or use tobacco. The following link gives a more detailed history. 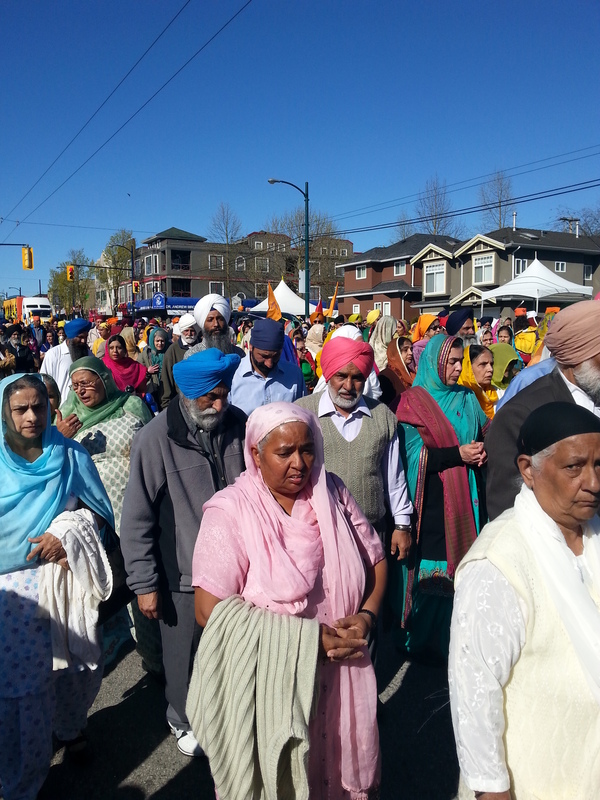 Vancouver has one of the largest Sikh populations outside India. 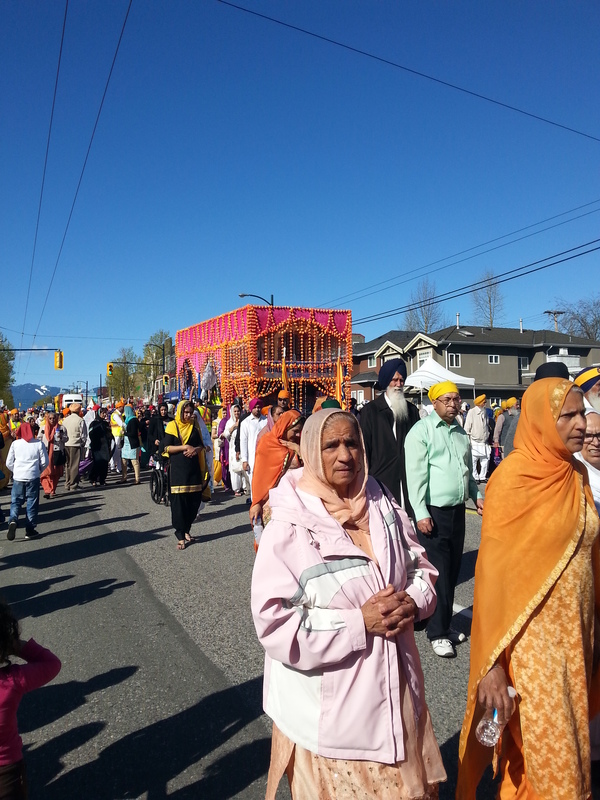 Vaisakhi celebrations in British Columbia take place over two consecutive weekends. 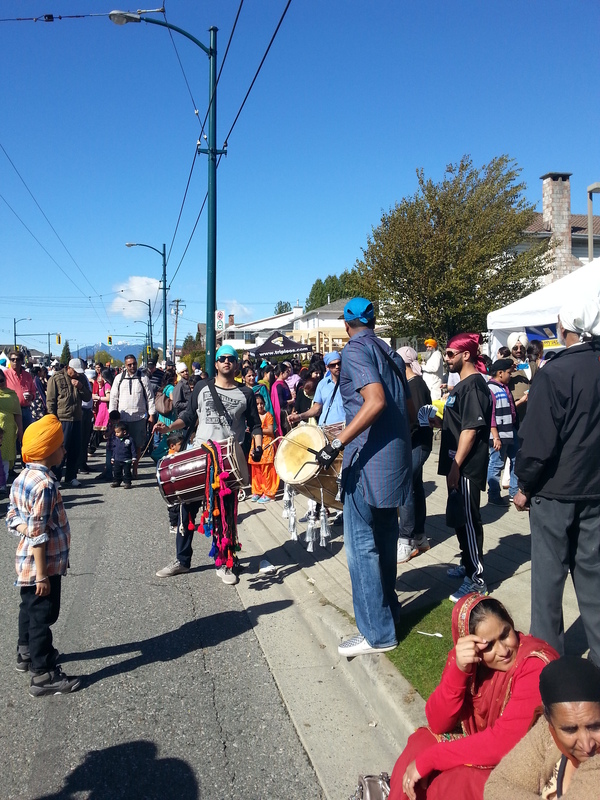 Today marked the Vancouver parade, next Saturday Surrey holds an even larger celebration. Work permitting we never miss an opportunity to walk the parade route. 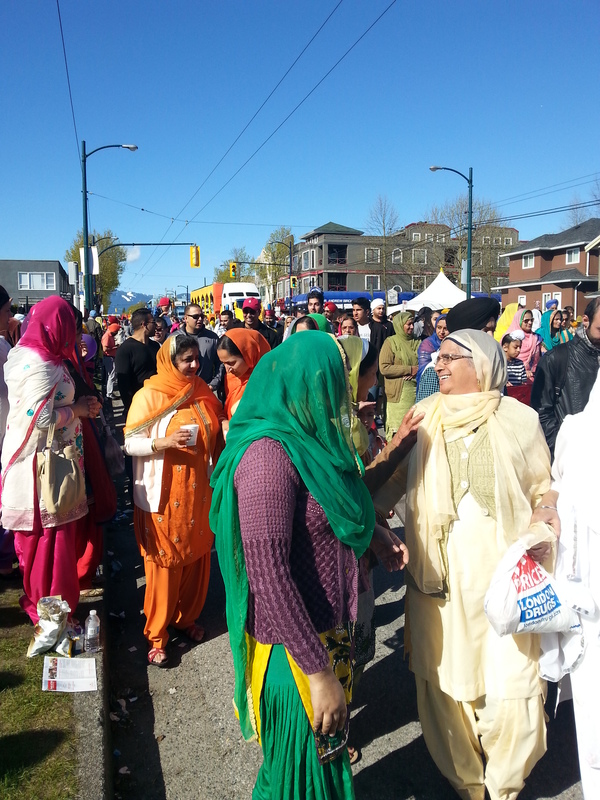 Vaisakhi makes everyone feel welcome. It doesn’t matter if you understand the nuances, speak the language or know Sikh history. Music and laughter fill the air, warm smiles extend past religious and cultural borders. 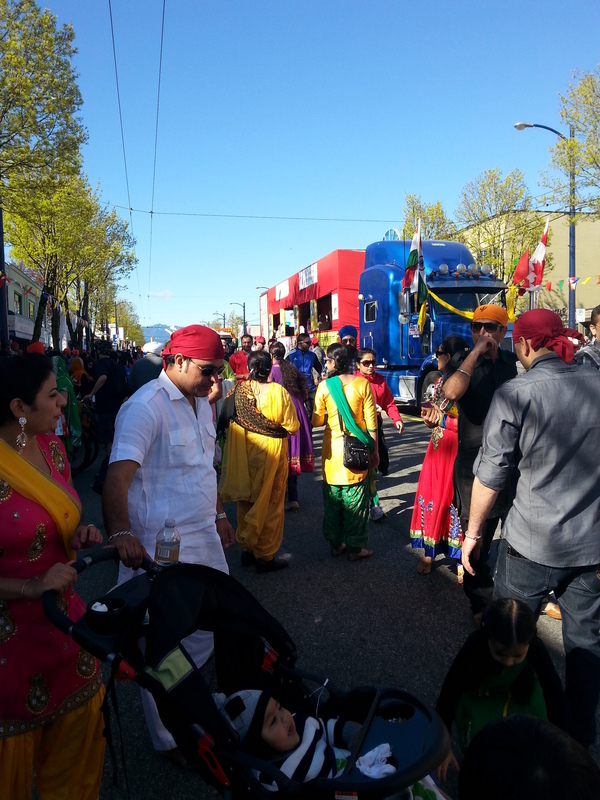 Vaisakhi lifts spirits while serving as ambassador to the true meaning of multiculturalism.